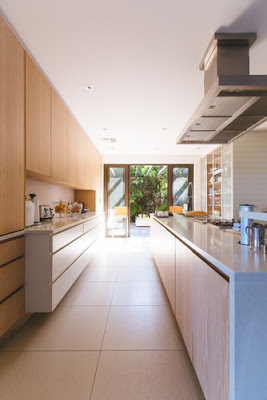 The kitchen is one of the first things that a visitor notices and perceives as the indicator of hard work and attention you put into the looks of your home. You may often see these lavish kitchens in luxury magazines but maybe feel you don’t have enough money to plan a remodel? Well, don’t you worry, because we’ve got you covered. In this article, we’ll take a look at some of the best and cheap kitchen decorating ideas that make your kitchen look lavish and expensive. Most of the people focus mainly on the kitchen appliances for decoration and ignore the walls. This is a big mistake because walls are the biggest blank spaces in your kitchen, and using them as a focal point of your kitchen can be a really nice idea. Here are some of the kitchen decorating ideas that you can apply. Try adding brighter, softer colors to the walls of your kitchen and make a contrast. You can follow the three color palette method when painting your kitchen. Here are some great tips when using the 3 color palette rule. Divide your kitchen into three parts. First part is the fixed color that you can’t change, for example, the color of your cabinet. The second part is the backdrop color. Choose a neutral, lighter color on the biggest blank walls; it supports your fixed color by adding a light background. 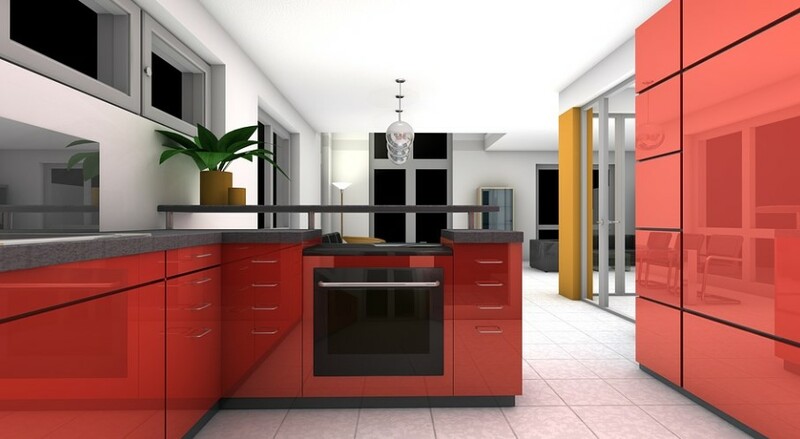 The third part is a bold color that makes your kitchen unique. Use this color to paint the most noticeable area/ wall of your kitchen. To choose a proper three color palette, you can either hire an expert or just get some ideas from the internet. Walk into your kitchen and see what comes to your eye first, do you like it? If no, then change it with something else, if yes, then it’s the time to decorate it further to make this and the closest blank wall the focal point of your kitchen. A focal point should be visually fascinating because this will help you make a good impression on the mind of your visitor. Here are some focal point decorating tips. -Use the focal wall to paint the third, bold color of our three color palette method as explained earlier. -Use wallpaper with good quality texture. 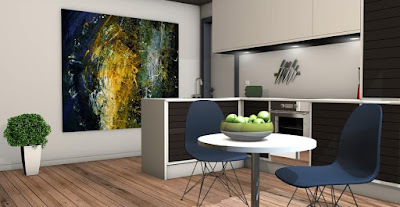 -You can also use a piece of art on the focal wall. When decorating your focal wall, keep in mind that this is just one wall, and decorating it heavily won’t in any way, make your kitchen look messy. 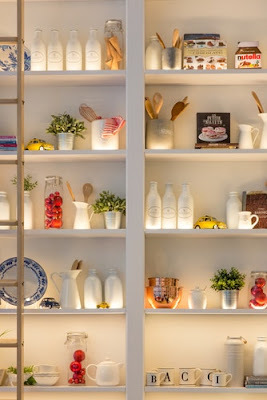 Open shelving is one of the most fashionable and easy ways to make your kitchen look amazing and spacy. You can always remove the shelves or even just use a spare wall to install some open shelves. Try to showcase the finest culinary pieces that you have on these open shelves. If you can remove the cabinets wholly, then try removing just their doors, painting them with light colors from inside and there you go! Your new display shelves are ready to show your great collection of china, stemware or culinary pieces.